Revere Health Clinical Research Provo provides qualified, trained and experienced research staff. We offer competitive reimbursement rates to investigators for their oversight of the clinical trial and for the study-related procedures performed during the trial. 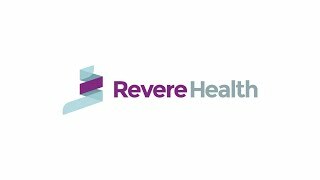 The Clinical Research Department at Revere Health is dedicated to performing clinical trials that are beneficial to our patients. We strive for perfection and efficiency in completing trials to provide the highest quality of care and report accurate and dependable data to the scientific community. We do this in hopes of furthering the medical knowledge of our society and providing better treatment options for our patients. We consider the safety and welfare of our patients and clinical study subjects to be our highest priority. We uphold the highest scientific standards of objectivity, accuracy and integrity. We comply with all applicable laws, regulations and guidelines, as well as company policies and procedures, which govern legal and ethical conduct. We conduct clinical studies only if there is no undue cost or risk to the subjects, and only if they benefit the general public. We engage in only those research activities for which we are knowledgeable and competent. – We enroll only qualified and properly-consented subjects in clinical studies. – We do not discriminate against any potential subject based on race, gender, age, religion, national origin, sexual orientation or disability. We do not coerce or unfairly influence people to participate in clinical studies. We avoid conflicts of interest and do not offer or accept improper inducements. We protect the confidential information of subjects and patients. We speak and write the full and accurate truth; we do not improperly withhold information. We do not engage in ethically unclear activities until the ethical questions are resolved. We challenge or report unethical conduct to the CEO. We work together to understand and resolve ethical issues. Disclaimer: This Code of Ethics is a statement of good-faith intentions. It does not constitute any contractual or legal obligation beyond that required by applicable laws and regulations.